SAF Tehnika is celebrating their 20th anniversary in style, by adding the Integra-E to their Integra line of point-to-point radios! As the name implies, this is their first radio to operate in the higher frequency E-Band. The new Integra-E offers an amazing 10 Gbps capacity, delivering a fiber-like throughput and stability for an affordable price. Integra-E takes advantage of the wide bandwidth available in the 70-80 GHz band to deliver higher capacities. SAF Tehnika is known for satisfying their customer needs. They have been developing highly efficient affordable backhauls for many years. 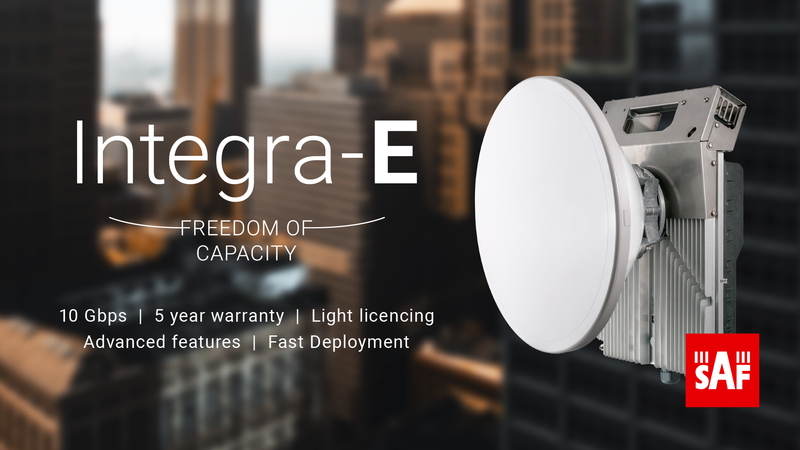 The Integra-E is slammed packed with exciting features and benefits. 5-year standard warranty - SAF Tehnika is one of the few manufacturers that offers a 5-year standard warranty with their radios. They also provide 24/7 technical support. Advanced Ethernet Functionality - The Integra-E comes with a 10 Gbps switch with 50 Gbps switching capacity. Advanced Ethernet Functionality - A significant increase in your payload capacity and link availability. Light Licensing Requirement - The E-Band process costs significantly less, and is faster than traditional licensing. 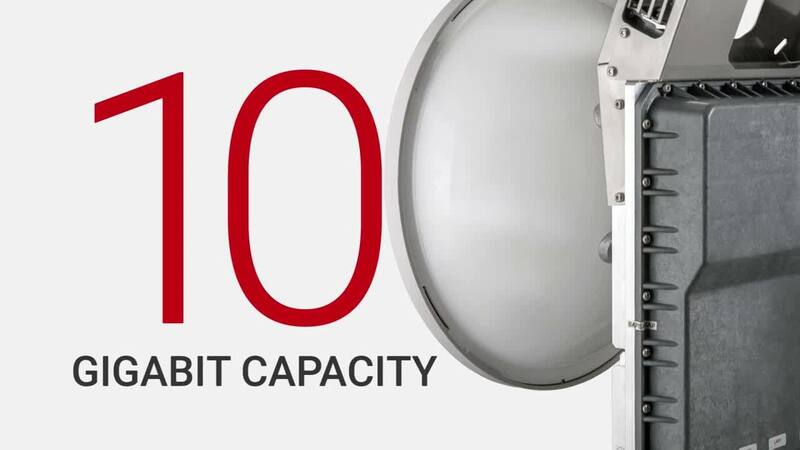 High Capacity - With a 10 Gbps capacity, the Integra-E becomes the perfect alternative to fiber. The Integra-E offers you a quick, easy and reliable 10 Gbps link that's a great alternative to fiber. It can also be used to advance the edge of your fiber network. With an outstanding list of features, the Integra-E is the right radio for the job.